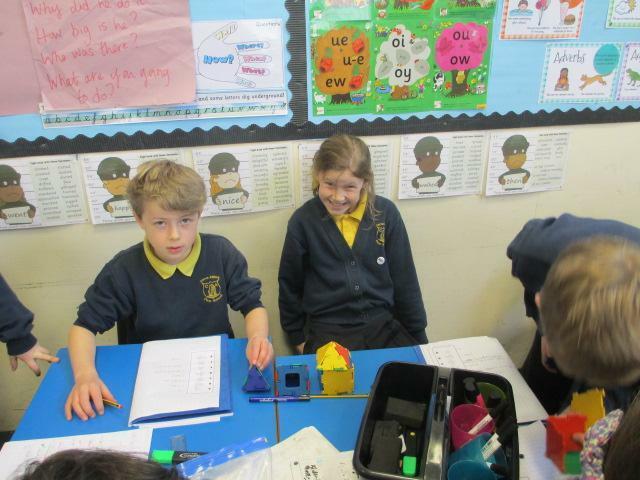 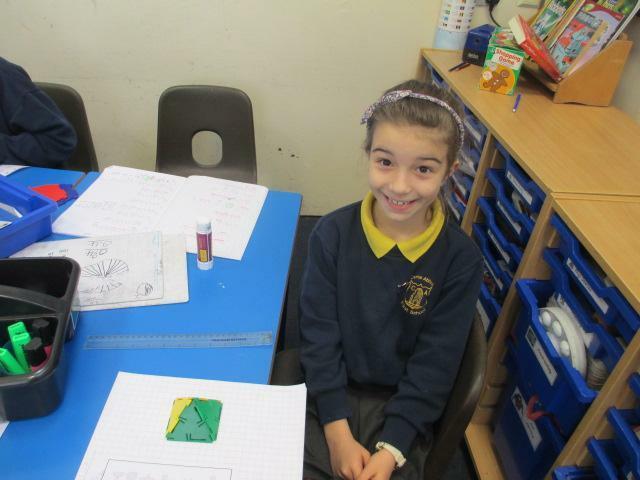 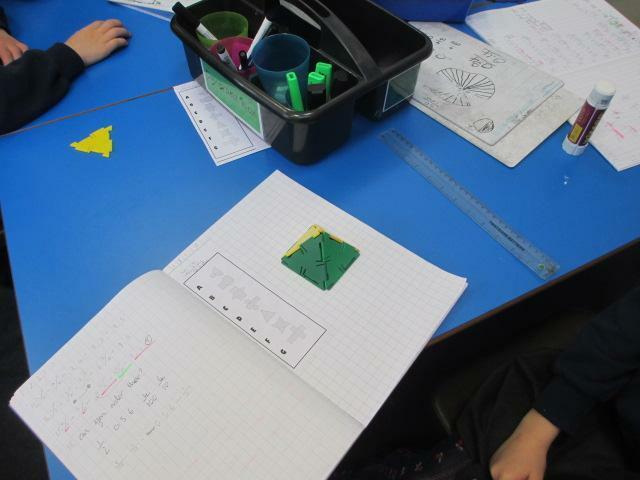 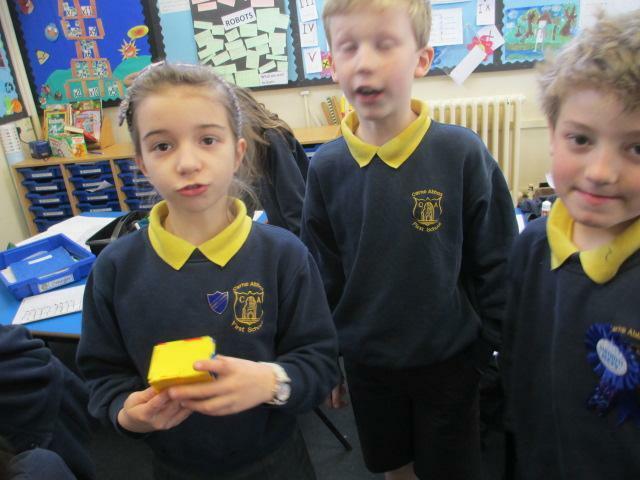 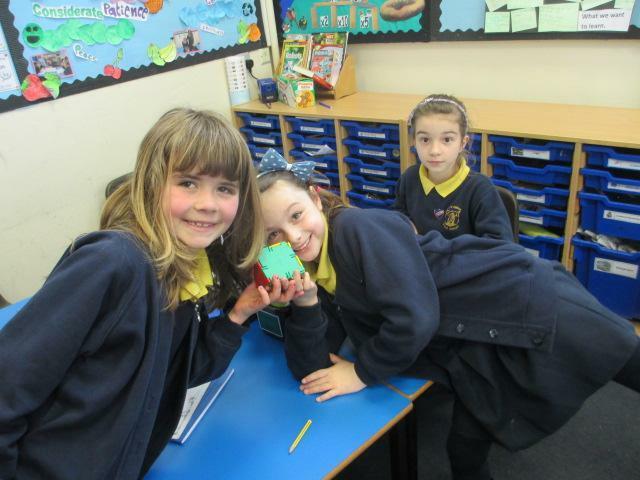 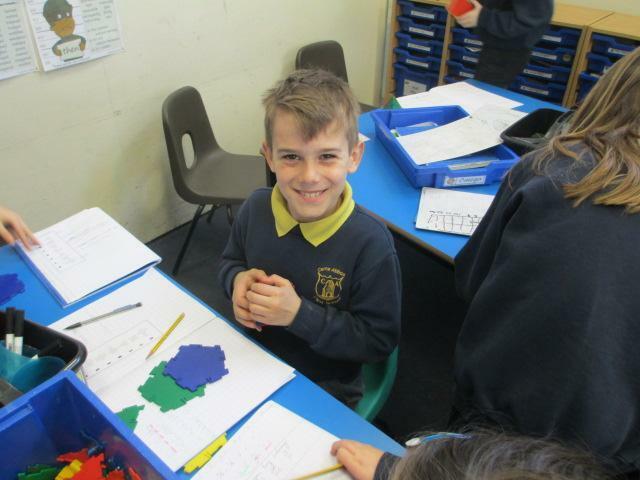 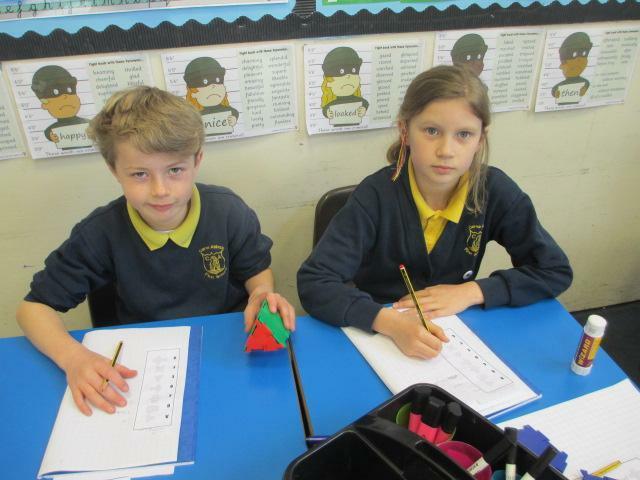 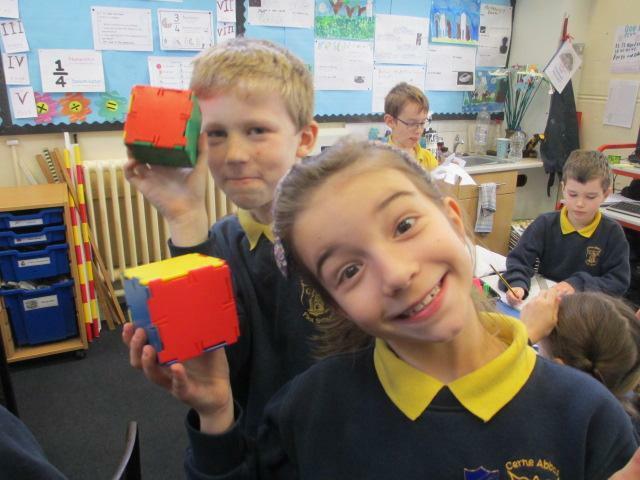 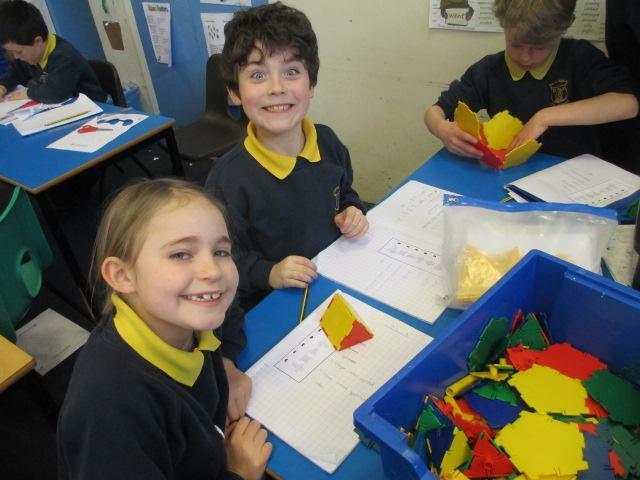 This week in Maths the children have been exploring and investigating shapes. 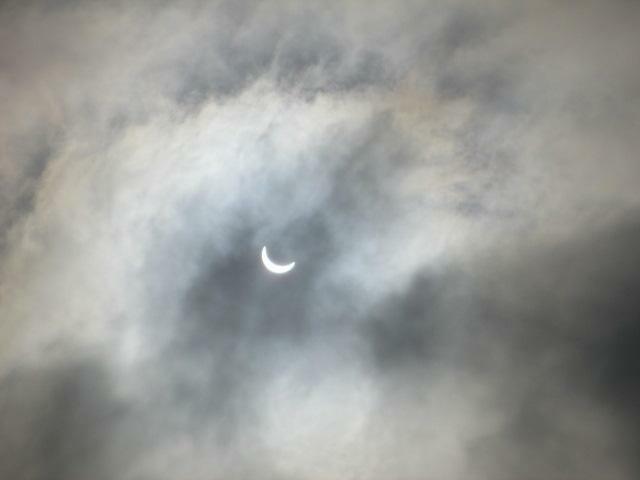 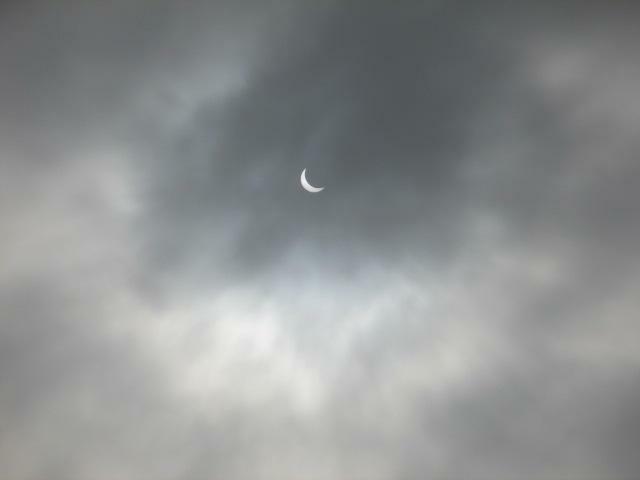 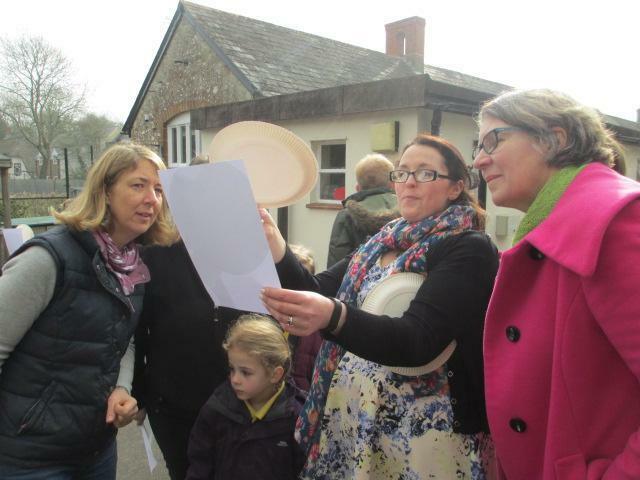 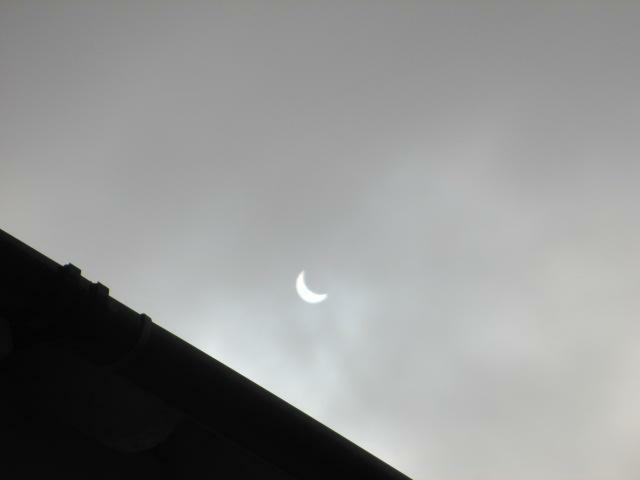 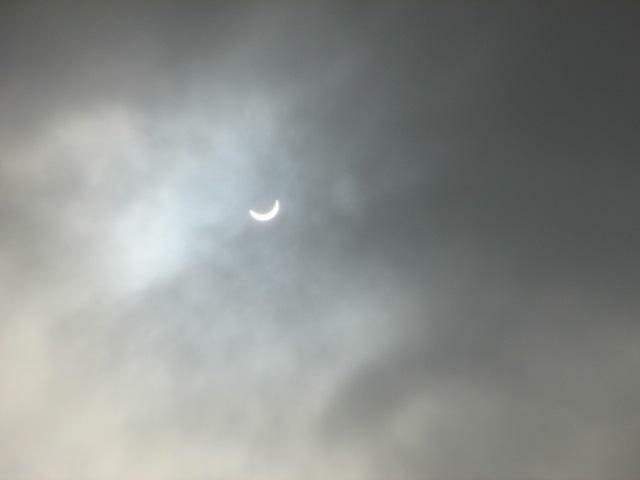 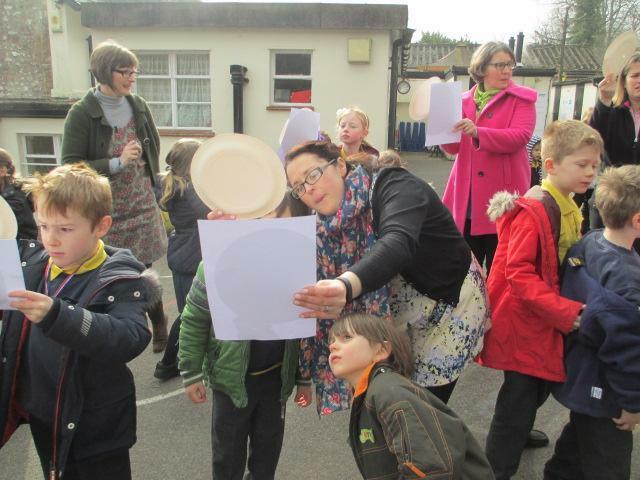 Today we watched the amazing phenomenon of the Solar Eclipse. 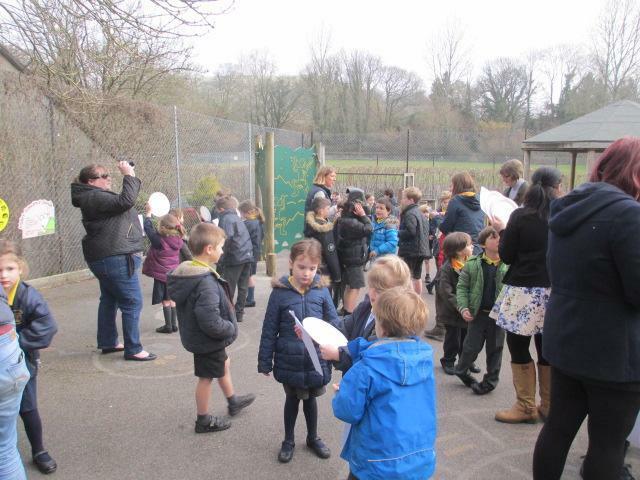 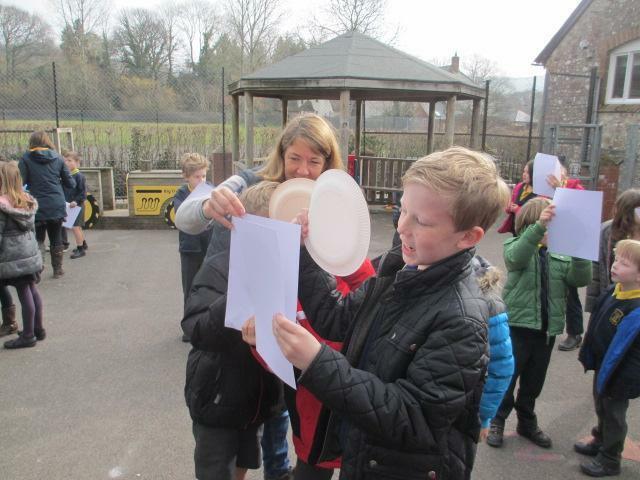 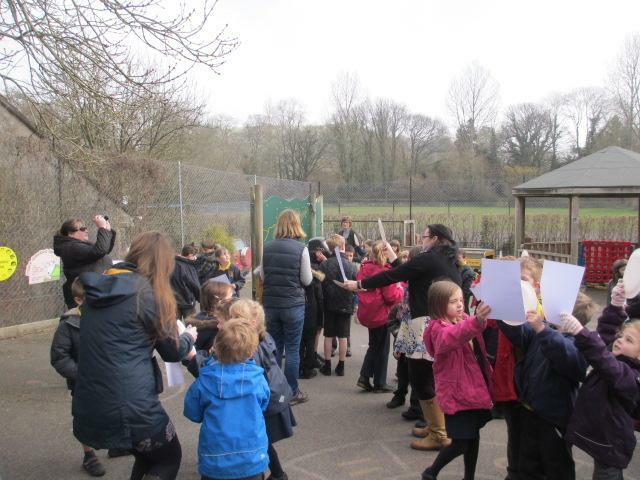 We all went outside at 9.15, the clouds parted, and we were able to see it through our pin hole cameras we made yesterday. 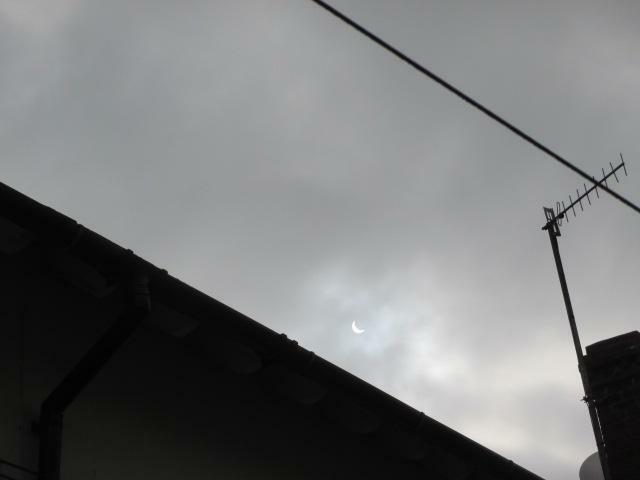 It did not exactly get dark but we all experienced it, and then watched it on TV.